NRS Healthcare has become the first organisation to gain corporate CECOPS accreditation for both community equipment and wheelchair services, covering all the services they provide across England, Wales and Northern Ireland. NRS Healthcare is a leading provider of community equipment and wheelchair services in the UK, providing services to local authorities, the NHS, and the general public. NRS delivers a wide range of assistive technologies to support people in keeping them safe and independent. CECOPS CIC is the independent standards and accreditation body for assistive technology services. CECOPS accreditation is a regular feature in service specifications for assistive technology services, and is a way of assuring commissioners that services are meeting quality and performance related standards. We are delighted to announce that Professor Mike Bewick has been appointed CECOPS’ Chairman. 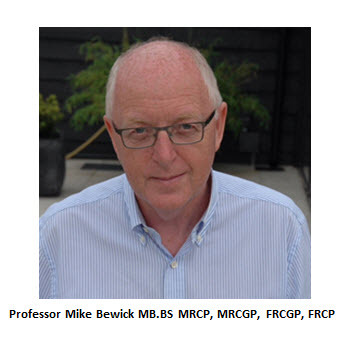 Professor Bewick brings a wealth of experience to CECOPS, having worked as a GP for many years and as an executive board Medical Director. He has held senior positions in strategy development and commissioning in Primary and Secondary Care. He was also Deputy Medical Director to Sir Bruce Keogh at NHS England. 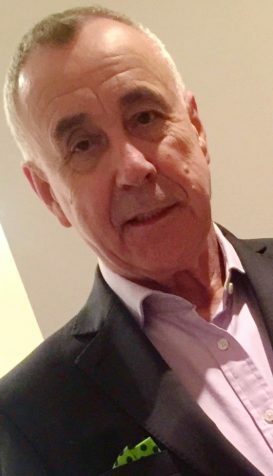 Professor Bewick has wide-ranging experience including planning, commissioning and providing services, leading clinical and management teams on a local, regional and national basis, and advising on policy for NHS England to the Secretary of State and Government Ministers. In his role at a national level he developed a significant interest in quality and safety; initially while conducting several of the Keogh reviews and then in promoting incident reporting in Primary Care. He acts as a mentor to several clinical entrepreneurs as part of the national programme and sees the value of developing standards in the application of technologies in health and care. Professor Bewick is enthusiastic about becoming involved with CECOPS as he understands the role assistive technology has (e.g. digital health, telecare, wheelchair services) in supporting people to live independently, manage their own care, and in helping governments and organisations meet a range of strategic objectives. About CECOPS: CECOPS CIC is a community interest company (social enterprise) and is the independent not-for-profit standards and accreditation body for all assistive technology services e.g. digital health, telecare, community equipment, wheelchair services. We work with many NHS, private and third sector organisations and local authorities in the UK, with growing international interest. Compliance with CECOPS’ standards is a regular feature in tender specifications. Assessments of services are undertaken by independent quality and risk specialists, HLS Healthcare Risk Solutions. CECOPS has developed outcome-based Codes of Practice for various assistive technology services including the first ever International Code of Practice for Planning, Commissioning and Providing Technology Enabled Care Services. 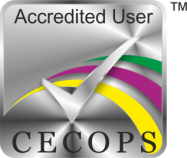 As well as accreditation against our Code, the CECOPS model includes training for commissioners, providers and clinical and technical staff across all assitive technology services, as well as our unique self-evaluation and continuous improvement software tool, iCOPS®. Our work simplifies the planning, procurement and contract management of services and has a continuous improvement focus. We have a Strategy and Delivery Unit, made up of independent experts. We also specialise in assessing and accelerating organisational readiness before adopting new services, sharing good practice and scaling-up. If you would like to find out more about CECOPS and how we can support you, please get in touch. CECOPS is now supporting providers in the technology enabled care services (TECS) space, and is helping to shape the marketplace and drive the digital transformation with our new international framework and support tools. The technology enabled care marketplace needs to change in order to meet both current and future health and care demands. Working with the same models is not a sustainable option. With this in mind, CECOPS has developed quality standards, in the form of an outcome-based Code of Practice, and related support tools, to enable the sector to make the changes it needs to encourage engagement with technology, and to embed sustainability into delivery models. CECOPS has recently developed the first-ever end-to-end and outcome-based International Code of Practice for Planning, Commissioning and Providing Technology Enabled Care Services (TECS). See the areas covered by the TECS Code HERE. This is the first Code of Practice to span across both commissioner and provider responsibilities, as we believe this is key to establishing effective services. It also covers all service areas including health, care and housing. The Code is truly international, meaning you can work with it across your global operations. Commissioners across the UK are increasingly engaging with our Code, and you can seek the prestigious CECOPS accreditation against the Code, to demonstrate to commissioners that you are working to the standard they require. CECOPS Accreditation is achieved by having an assessment of your services by our external and independent Quality and Risk Management expert team. Gaining CECOPS accreditation status is already a requirement of some commissioners, so gaining it will also help you to achieve competitive advantage. The CECOPS Model has a continuous improvement focus, moving the thinking away from a ‘compliance’ mentality. Having a ‘compliance’ focus can stifle innovation, and it can breed apathy i.e. ‘we are just good enough’. In view of this, we have developed a unique and powerful self-evaluation and continuous improvement software tool called iCOPS®. This tool is available for both commissioners and providers. iCOPS® empowers you to drive your own quality and performance agenda, as well as manage contracts and programmes (e.g. analogue to digital). It also enables you to demonstrate improvements and the quality of your service to commissioners and interested parties. There is a FREE 30 DAY TRIAL version available on iCOPS® – please take advantage of this offer. Details for signing up for the trial are included in the attached flyer HERE. CECOPS CIC is the independent (not for profit) standards and certification body for all assistive technology services. We have Codes of Practice for various Assistive Technology services. 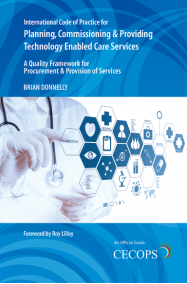 Our Codes act as a quality framework for procurement and provision of services. We currently work with in excess of 80 local authorities, NHS, private and voluntary organisations in the UK, with growing interest globally. CECOPS is officially supported by regulators and professional organisations. CECOPS is leading the way in the assistive technology (AT) space, in terms of improving standards and outcomes. As well as covering all AT services, CECOPS uniquely covers planning, commissioning, service provision and clinical and technical aspects of services. Please get in touch if you would like to informally discuss how we can support you. Appello, the largest telecare monitoring service in the UK, registers with CECOPS! We are delighted to welcome Appello, our newest registrant, the largest telecare monitoring service provider in the UK. Appello has registered its monitoring service with us, showing its commitment to work to CECOPS’ International Code of Practice for Planning, Commissioning and Providing Technology Enabled Care Services. Appello is also working towards accreditation, where their service will be independently assessed by CECOPS’ partners DNV GL Healthcare, world leaders in quality and risk management. CECOPS is the independent standards and certification body for assistive technology services, including technology enabled care services (TECS). CECOPS is a social enterprise and currently works with approximately 80 organisations. CECOPS is CQC approved and has been endorsed by the Association of Directors of Adult Social Services and the Health and Safety Executive, for example. 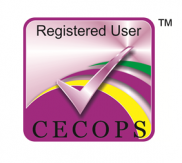 CECOPS offers standards, software tools, expert personnel and training to help local authorities and health organisations with planning, commissioning and providing technology enabled care services (TECS) e.g. telecare, digital health. CECOPS is an independent, not-for-profit standards and certification body for assistive technology services. CECOPS is, where appropriate, one of the resources Local Authorities are signposted to following completion of the Local Government Association’s Social Care Digital Maturity Assessment. NHS England Vanguard areas currently undertaking Digital Maturity Assessments and requiring support will also be signposted to CECOPS, as a resource to support local areas. 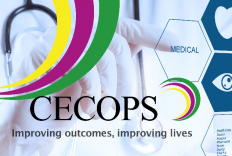 CECOPS’ details are available on the resource repository area for Local Authorities and an online collaboration space for NHS England Vanguards. Support will include CECOPS’ outcomes-based integrated Code of Practice for Planning, Commissioning and Providing Technology Enabled Care Services. The Code can help organisations prepare for engaging with TECS, as well as providing a quality framework for procurement and provision of services, simplifying the commissioning and tendering of services. Details about the Code can be found HERE. The Code is supported by a unique self-evaluation and continuous improvement software tool, allowing organisation to self-evaluate their readiness and assist in the monitoring of contracts and services. A free 30 day trial is available on the tool. A flyer for the tool can be downloaded HERE. CECOPS also has a Strategy and Delivery Unit (SDU), made up of national experts in the space, which can help with assessing, progressing and accelerating organisational readiness. The SDU can help with commissioning, procuring and implementation of services. The new quality framework and tools uniquely enable CECOPS to work across wider geographical areas and share good practice, thus adopting a community building approach to help achieve a wider and more accelerated adoption of TECS. CECOPS also offers training programmes for both commissioning and providing TECS. CECOPS can also accredit services, via an external assessment undertaken by independent assessors DNV GL Healthcare, world leaders in quality and risk management. CECOPS is a social enterprise and currently works with approximately 80 NHS organisations and local authorities. CECOPS is CQC approved and has been endorsed by the Association of Directors of Adult Social Services and the Health and Safety Executive, for example. CECOPS is completely independent, having no affiliations with suppliers or service providers. The assessment partners used by CECOPS, DNV GL Healthcare, are also totally independent, which avoids any potential conflicts of interest. CECOPS is chaired by Sir Bert Massie CBE. Having previously worked in the public sector I have personally been guilty of procuring technologies without firstly giving a lot of consideration as to how ready the organisation was to use the technologies effectively. For example, does the organisation have the right skills, resource, capacity or information systems to benefit from such technologies and measure service impact? Not considering organisational readiness appropriately means that it is likely the technologies will not meet their intended purpose, and neither will expected benefits be realised. This oversight is something that happens regularly, especially within the public sector. We have all witnessed it with failed local and regional technology related projects, as well as national multi-million pound IT projects, for example. I once knew someone who bought £500K of telecare ‘boxes’ for a local authority. After 6 months the ‘boxes’ were still in a store; no one knew how to deploy and use the contents of the ‘boxes’! On a national or even international scale, the cost of investing in technologies without ever realising their full potential or improving care to patients and users must be colossal. This is a complete waste of public funds. Organisational readiness: For too long the focus has been on the provider and supplier end of the market; whilst this has its place, time and consideration has to equally be given to the planning and commissioning end of the market. It is in the long term interest of good providers and suppliers of technology to provide their products, solutions and services into organisations that are ready. Not only should organisations assess their own readiness prior to committing to acquiring technologies, there is a role also for providers and suppliers to help ensure organisations are ready. So how can organisations make sure they are ready before taking a leap into the world of technology enabled care services? This is very important now that technologies are playing more of a role in health and social care provision. Good News: We are glad to inform you that CECOPS has some new developments which will help! We have just developed the first ever end-to-end outcome-based International Code of Practice for Planning, Commissioning and Providing Technology Enabled Care Services. Following the sequential steps set out within this Code will help to ensure organisations are ready before engaging with technology enabled care services. It will also help to ensure any service implemented results in the best possible outcomes, and that the service is innovative and sustainable. The new CECOPS Code is available from HERE. The Code is FREE to organisations working with CECOPS. “..this is more than a Code of Practice; it is a map, a guide and a chaperone. It is thought provoking and a source of inspiration.” Roy Lilley, Health expert and analyst. Get in touch: If you would like to discuss any of the above issues please get in touch.